A comprehensive, in depth tour of this fascinating Caribbean country, from the popular west to the remote lands in the east. Explore the historic cobbled streets of Havana, exuding old-world charm to following Christopher Columbus’s footsteps through the city of Baracoa . Dance to Cuban-infused Latin beats in the Colonial city of Trinidad, visit a sugar Barons estate and roam the historic center of city of Cienfuegos. We make our way to the lapping waters of the turquoise coast where you can spend lazy sun kissed days in Cayo Las Brujas, fishing, diving, snorkelling and swimming before returning to the capital of Havana for a city tour. A trip to Cuba is not complete without visiting a authentic cigar factory in the Vinales Valley in Pinar del Rio, where some of the world best Tobacco is grown amongst spectacular natural scenery. Upon your arrival to Havana’s international airport, you will be greeted and transferred to your hotel. Transfer to the airport for your outward flight from la Havana.Upon your arrival to the airport in Santiago de Cuba, you will be greeted and transferred to your hotel. After breakfast, you will meet your guide for a walking tour of Santiago’s Historic Centre. Following this, you will be taken on a panoramic tour of the modern section of the city, visiting sites such as the Santa Ifigenia Cemetery, The Moncada Garrison, where the 26th July Museum is located, and El Morro Castle. You’ll then enjoy lunch near Santiago Bay on the Caribbean Sea, before returning to the hotel. 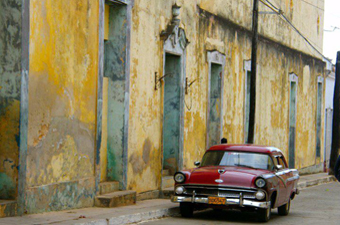 Today, your private driver will take you to Baracoa, where Christopher Columbus landed in Cuba on his first voyage. Along the way, you will visit Guantánamo city where you can enjoy some Caribbean beats at a live dance show. As you continue to Baracoa, your driver will pass through La Farola, a Cuban civil engineering wonder. 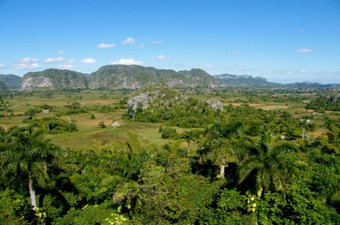 The 120km road was built through the Sierra Maestra Mountains after the Cuban Revolution. After breakfast, you will meet your guide for a walking tour of the town and visit sites such as the Matachin Fortress and the church where the first religious cross ever brought to Cuba is kept. After a traditional lunch in a local restaurant, the rest of the day is yours to enjoy the town or relax in your hotel. 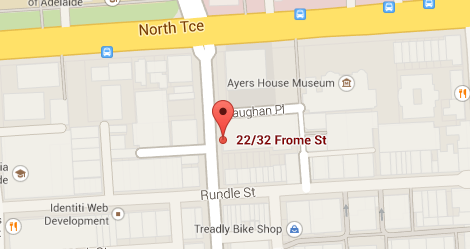 In the evening, why not visit the Casa de la Trova for some live Cuban music. Today, your private driver will transfer you to Camaguey, stopping for lunch at Bayamo city along the way.At the appropriate time, you’ll meet your guide for a walking tour of the city of Camaguey. TAfter breakfast, you will be transferred to Trinidad and to your hotel for check-in. The rest of the day is free for you to enjoy the colonial town or some more Cuban music at La Casa de la Musica. 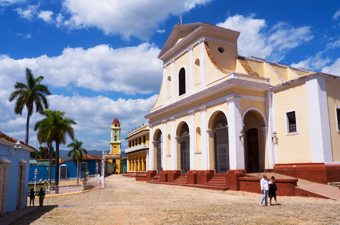 Meet your guide for a panoramic tour of Trinidad, where you’ll walk the cobbled streets of the oldest town in Cuba and visits sites such as La Canchanchara Bar, a former sugar Baron’s house and the local church. You’ll also stop at a market before having lunch at a local restaurant. At the appropriate time, you will be transferred by your private driver to the city of Cienfuegos.Today, your guide will take you on a guided tour of the Historic Centre and city boulevard. You will then go on a drive to the Punta Gorda Peninsular to have lunch. The rest of the day is yours to relax in the hotel or explore the city some more. 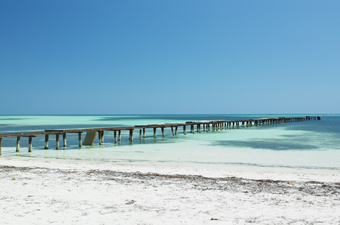 Today, you will journey to one of Cuba’s best beaches Cayo las Brujas. Here, you can snorkel, dive, fish or simply relax on the white sand beach. Enjoy a free day to relax at the beach in Cayo Las Brujas. Enjoy another free day to relax at the beach in Cayo Las Brujas. At the appropriate time, you will be transferred from your beach resort back to Havana where you will be dropped off at your hotel. Get ready to enjoy an action packed day in Cuba’s capital city. 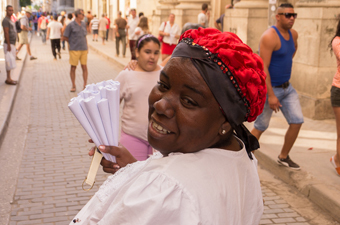 First, you will embark on a guided walking tour of Old Havana’s Historic Centre, taking in sites such as the Plaza de Armas, Plaza San Francisco de Asis, Plaza Viejay and Plaza de la Catedral. Here, you’ll visit some of Ernest Hemingway’s hangouts, such as the Ambos Mundos Hotel, La Bodeguita del Medio and El Floridita bar. After a much needed lunch in a local restaurant, you will be met by your private car and taken on a panoramic tour of the city, first visiting La Cabaña Fortress for a view of old & modern Havana across the bay, then touring modern Havana, stopping at Revolution Square and the Capitol Building. Following a busy day, the evening is yours to relax in the hotel or sample some of Havana’s world-class music. Today, your local guide will take you on a tour of the Vinales Valley in Pinar del Rio – where the world’s best tobacco is grown. En-route visit a Cigar Factory, your guide will take you to visit the valley’s famous Mogotes, including the Pre-Historic Mural, which reflects the geological history of the Sierra de la Organos, and the Indian Cave, where you can take a boat along the underground river. After lunch, you will have some free time to explore Vinales. On the way back to Havana, you will stop at the Los Jazmines look-out point to enjoy the incredible view of the Valley. The evening is yours to relax or enjoy a night of Cuban music. Why not visit the Casa de La Musica in Miramar. Transfer to the airport for your outward flight from la Havana.